MPs have warned further delays to electrify the Midland Mainline rail route from London to the city would be a 'complete betrayal' to Sheffield. Sheffield Central MP Paul Blomfield said the rail minister has 'backtracked' on the Government's promise to finish the work from London to Sheffield by 2023. Mr Blomfield added any possible delay or for the scheme to be halted indefinitely would damage Sheffield's economy and job prospects. When asked by Sheffield South East MP Clive Betts in a debate on last night, Paul Maynard, Parliamentary Under-Secretary of State for Transport could not guarantee the work would be completed in the time frame. The electrification was initially expected to be completed in 2019 but it has been beset by delays. Following a 'pause' in June 2015, the Government confirmed to the House of Commons in September 2015 that it would be completed by 2023. Network Rail has said enabling electric trains to operate on the Midland Mainline will mean more seats, less track maintenance, faster trains. The work, which is the line's biggest project since it was built in 1870, is already underway but the scheme has been hit by delays and financial issues. The London to Sheffield railway line is the only North-South route that hasn't yet been electrified. Speaking after the debate, in which MPs from all parties pressed minister Paul Maynard to reaffirm the Government’s commitment to complete electrification of rail services to Sheffield by 2023, Mr Blomfield said: “When this scheme was last delayed, the Transport Secretary came to the House of Commons and pledged that the work would be completed by 2023. Last night the Rail Minister backtracked on that pledge. "It is a complete betrayal. Electrification would deliver additional services, improved journey times, greater reliability, lower operating costs and a huge reduction in carbon emissions. It would be a huge boost to the economy and jobs in Sheffield. We cannot accept any delays." She said: "Sheffield residents will be absolutely disgusted by the side-lining of upgrades on the mainline from Sheffield to London. Businesses are relying on the inward investment it would bring to make Sheffield the centre of the Northern revival and residents are sick and tired of relying on creaking infrastructure. "We are the only North-South route in the country which is not electrified and we are being forced to rely on Victorian infrastructure and journey times." Speaking in a debate brought forward by Tory Loughborough MP Nicky Morgan, the minister stressed the government was 'committed' to £70bn of transport schemes to improve roads, rail, ports and airports but could not guarantee the Midland Mainline work would be completed on time. 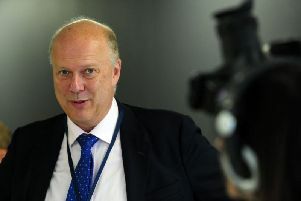 In response to a question from Sheffield South East MP Clive Betts, the minister said: "I am continuing to stress to Labour members that we are continuing to develop the electrification proposals.